As Simple As Mopping Your Floor! Most other products simply clean your floor but do not repair the worn and damaged top coating. 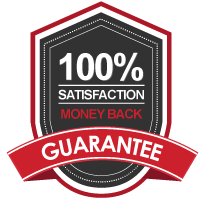 At last there’s a product that will deep clean your floor, removing dirt and grime and previously applied products, and then restore the shine. The restorer solution is more than a laminate floor polish, it replaces the top coat of your laminate or other engineered floor with a clear acrylic finish. The shine will last about twelve months, depending on traffic and the process can be repeated when your floor starts to look dull and tired, or if you want it to look good for a special occasion. This laminate floor repair system is as simple as mopping your floor. 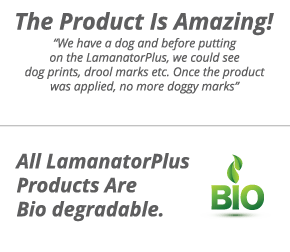 All products are non toxic and bio friendly. The solutions are applied using a micro-fibre mop and cloths saving you the cost of expensive machinery or contractors’ expenses and allowing you to maintain your floor as and when necessary. A 500 ml bottle of the Restorer covers a floor of approx. 200 square feet with two light coats. A 1 litre bottle of the Restorer covers a floor of approx. 400 square feet with two light coats. 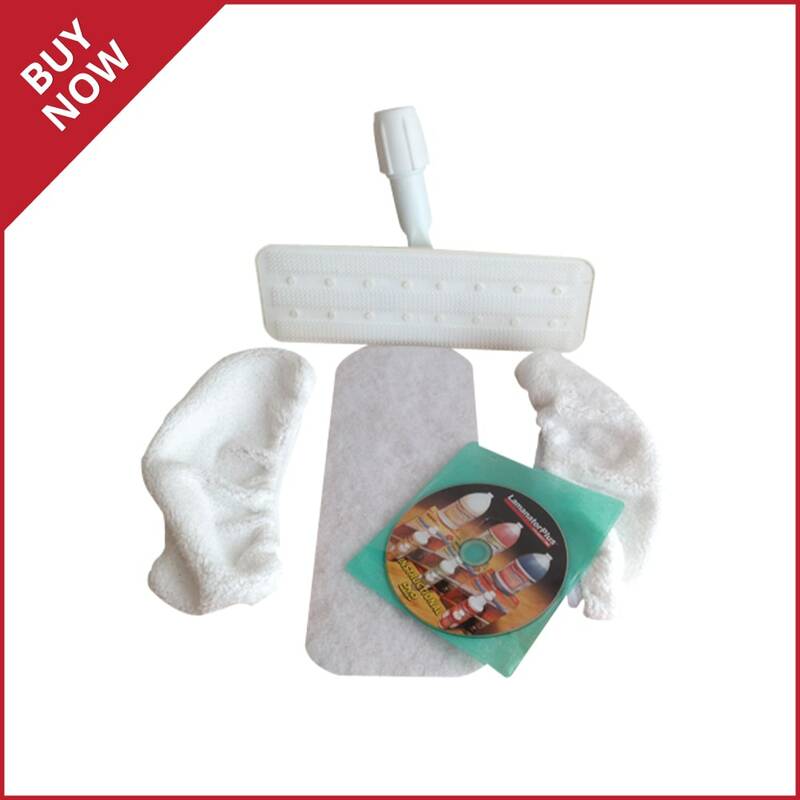 Prepares your floor for the Restorer and deep cleans your floor. Recoats your floor with a clear acrylic finish which adheres to the floor and restores the shine. Flooring Cleaner is an everyday laminate floor cleaner which cleans and maintains the shine on your floors. The LaminatorPlus micro-fibre mop kit is the perfect equipment to apply the LaminatorPlus Products. BUY NOW! Prices apply while current stocks last. 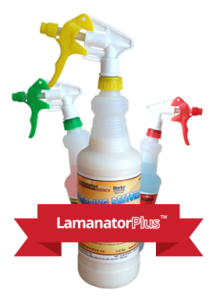 The LamanatorPlus™ system is also effective on hardwood, vinyl, tile, Pergo, Amtico, Karndean and cork floors. It can be used to restore wood kitchen unit doors and laminate worktops. 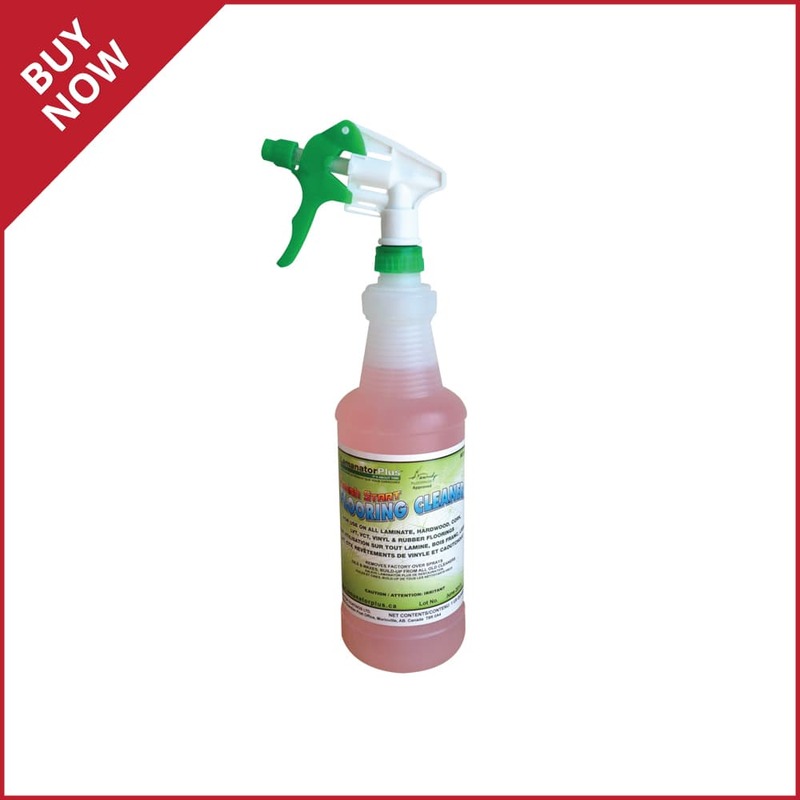 The Fresh Start solution (green bottle) can be used as a stain remover on carpets, paintwork and pvc doors and windows.